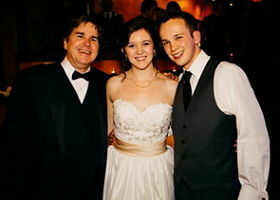 From the moment your guests are seated at the ceremony, your music provides a soundtrack. It’s a powerful determinant of how an evening feels to your guests and how it flows. As a bit of a “musicologist,” I’ve spent a lot of time checking out songs, genres and lists and observing what works and what doesn’t. So I will be there to guide you. When it’s time to dance, I will general start off play the most “inclusive” dance songs you’ve selected. Pretty much the best dance songs of all time. I LOVE seeing Grandparents dancing with their Grandkids. If your crowd has some that they’ve traditionally danced to at all their events, I’ll play them at just the perfect moment. 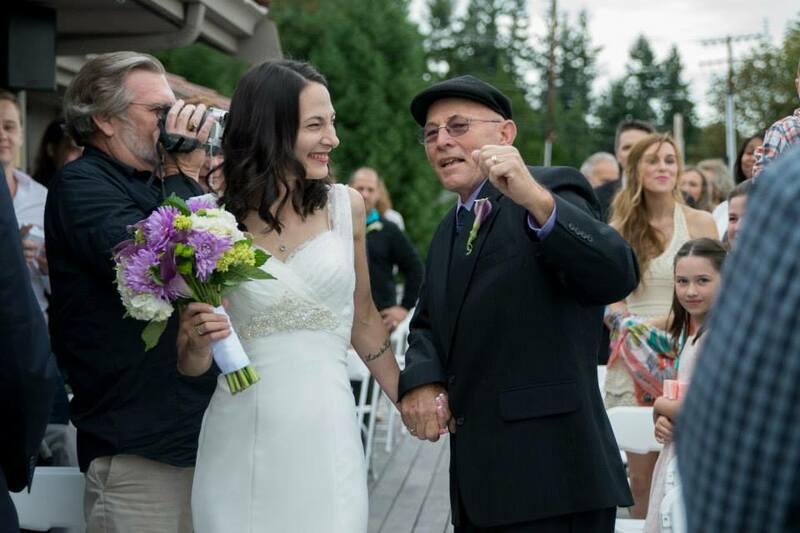 Just like Gini and her father, you can make the walk down the aisle memorable. 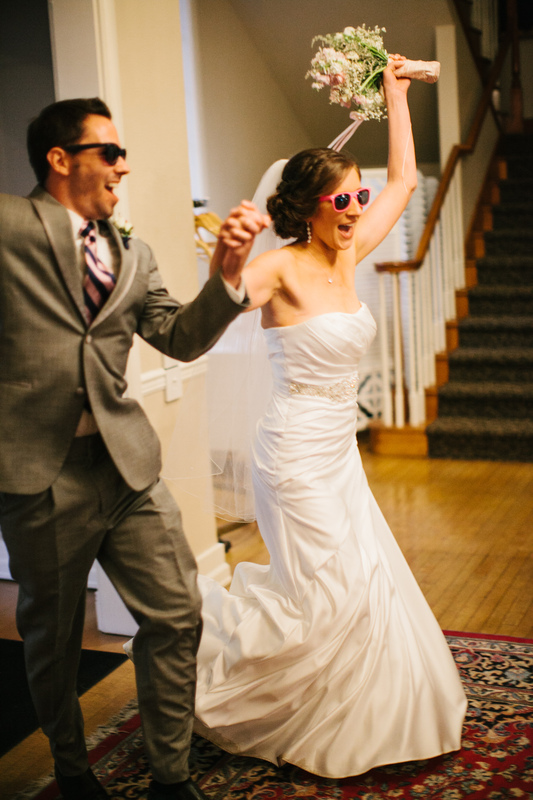 The recessional is an energetic moment, so upbeat is a great call. 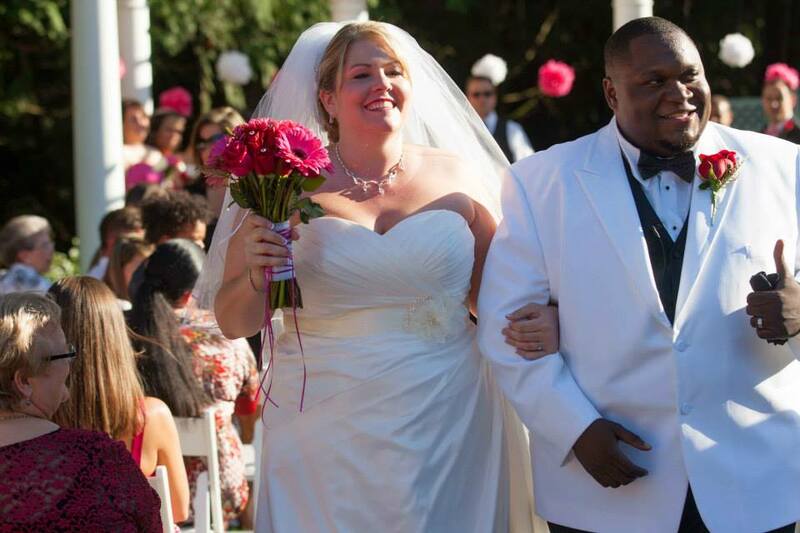 Kari and Mitch used Sign, Sealed, Delivered I’m Yours – Stevie Wonder as the song for their entrance. And rocked the sunglasses! 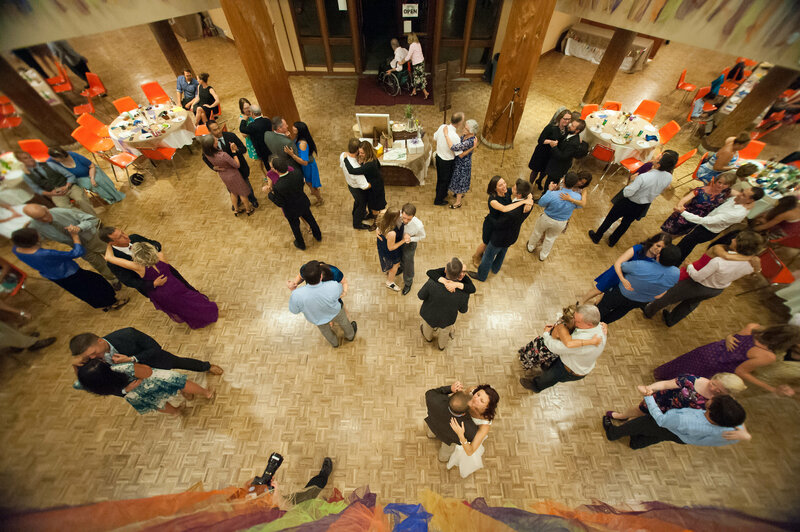 The anniversary dance begins with all the married couples on the dance floor and ends by celebrating the couple who have been married the longest. 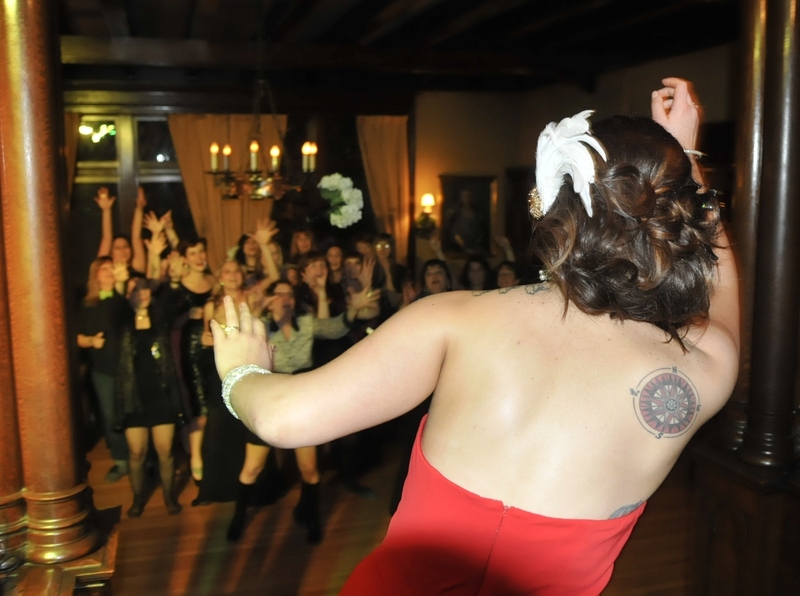 Erin tosses her bouquet to the guests. 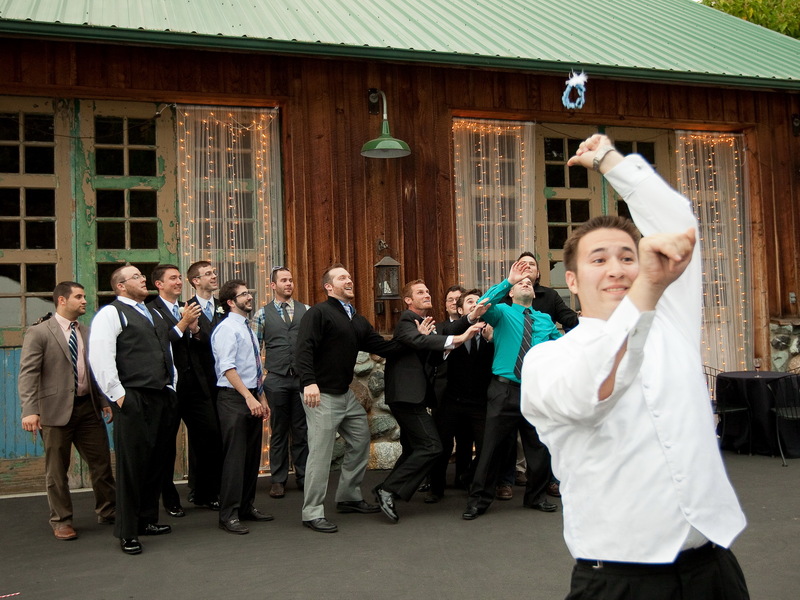 Nick flicks the garter to gentlement who have a varied level of interest in catching the garter. 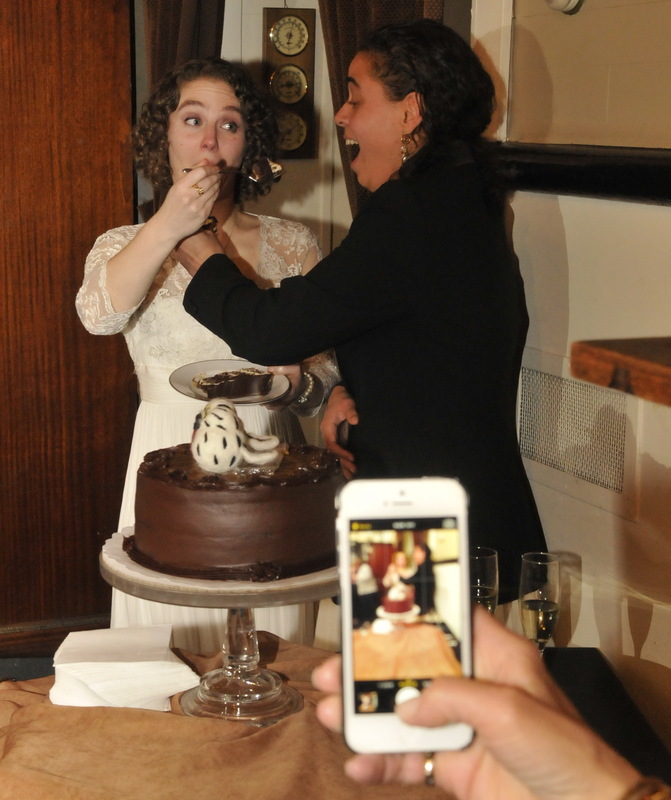 The papparazi are out in force as Rachel and Tania cut the cake at their wedding on the Skansonia. 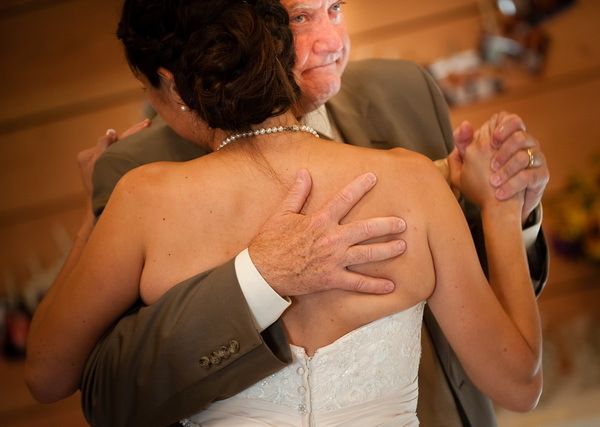 Jenniefer and her father share quite an emotion moment dacing to their song. 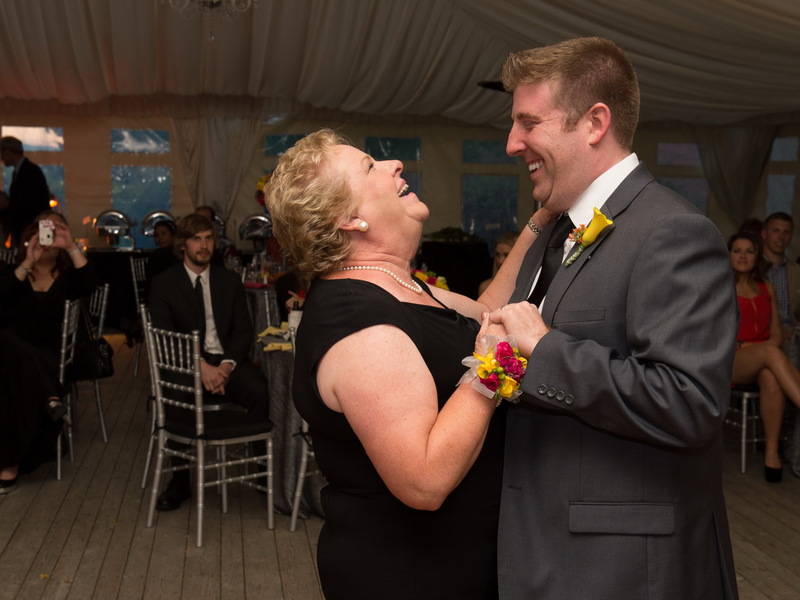 Chris and his mom share a laugh during their dance to. 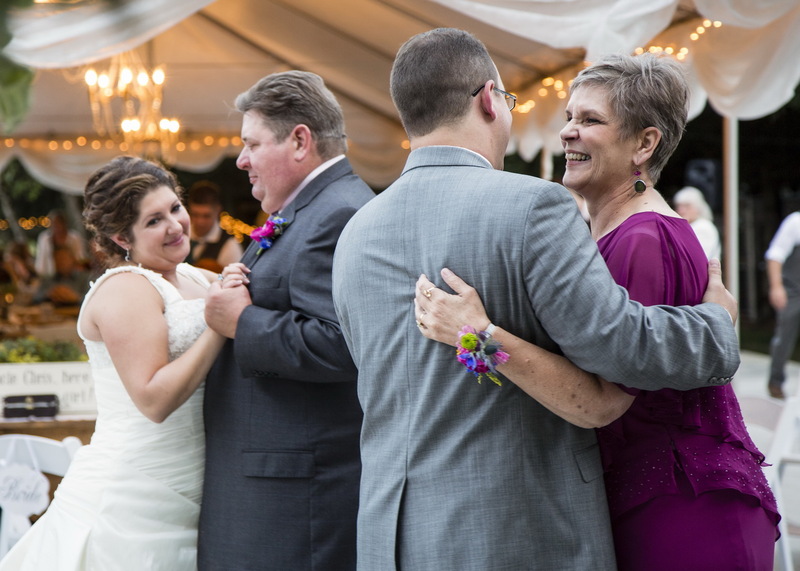 Chrissy and Chris share their dance with their parents. Blurred Lines Robin Thicke Feat. Pharrell & T.I. 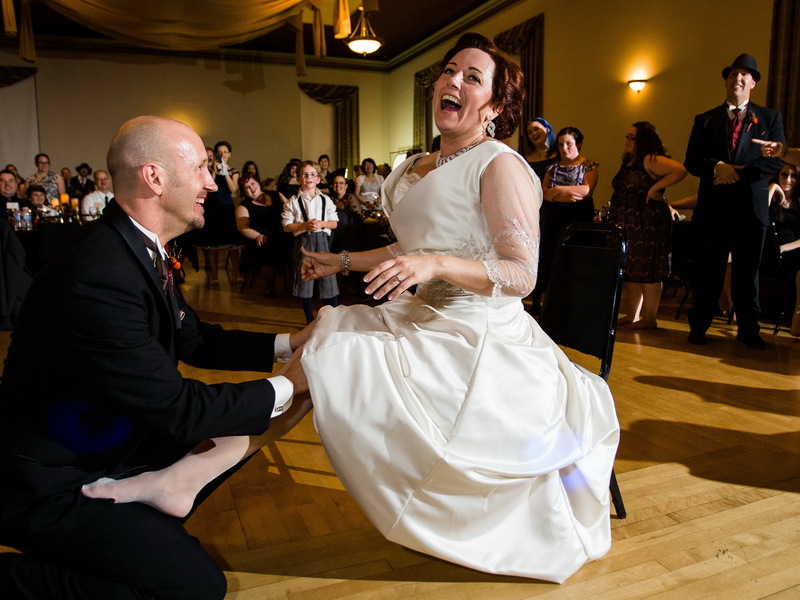 Amber has a big laugh as Christian takes off her garter. Ashley and Brendan enjoy their last dance of the night. 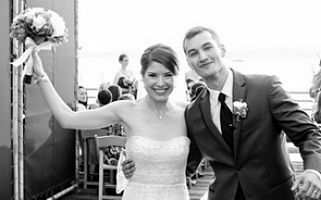 As the wedding neared and stress levels ran high, Alan did a great job of helping us make music selections for all of the different mini-events that sum to make a wedding. 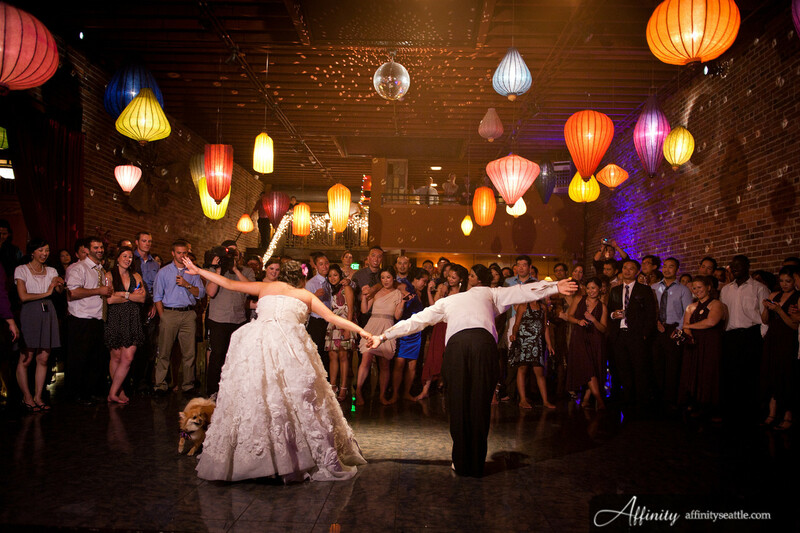 We were able to create the perfect playlist and Al delivered on an awesome dance party. 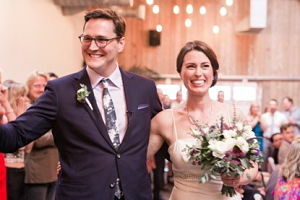 He has an online site that allowed us login and select songs that were “must plays,” “play if you can,” and “don’t play.” We also received a login for our guests that allowed them to choose songs they wanted to hear at our wedding, which we know they loved getting to be involved.